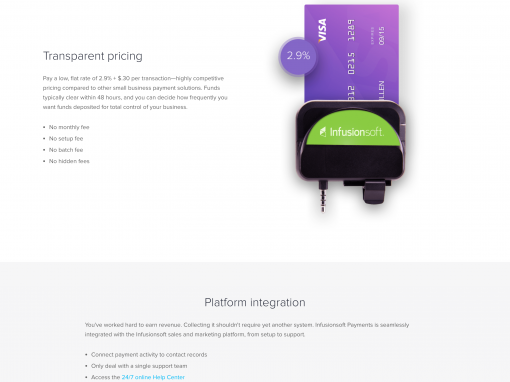 To accompany the launch of Infusionsoft Payments, we created a new page under the “features” section of the Infusionsoft website. I provided messaging and design direction for the new asset to ensure the product and its value were accurately depicted. 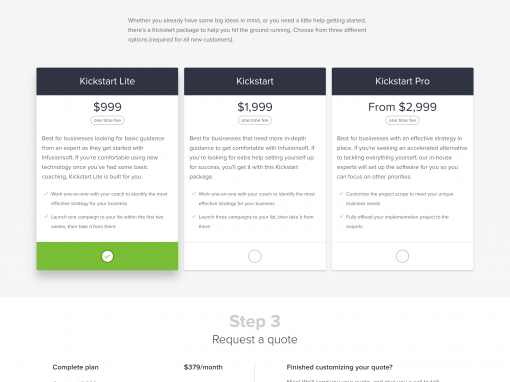 Similar to the launch assets, the messaging on the website is focused around the three core customer problems we were solving. We highlight ease, transparency and integration to make our solution resonate with customer needs. 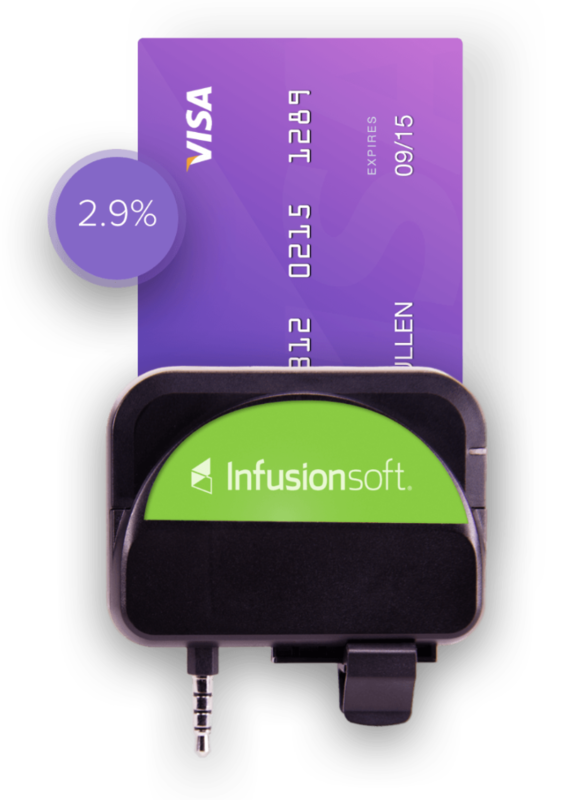 We also link to information about our mobile card reader (that allows customers to accept mobile payments in person) and educational materials regarding EMV chipped cards (my data showed 67% of our customers felt “not knowledgeable or prepared” for the transition to EMV cards and associated liability).